Indu Sarkar is Madhur Bhandarkar’s cleverly titled film on the 1975-77 period when then prime minister Indira Gandhi got President Fakhruddin Ali Ahmed to declare a state of Emergency across the country, allowing her, in effect, to be a Constitutional dictator. It is one of the most dismal phases in India’s post-Independence history, marked by the imprisonment of all Indira’s political opponents, a clamp-down on free speech and the press, and several human rights violations including, most famously, a programme of forced mass sterilisation of men across age groups. With the Emergency in the foreground, Bhandarkar brings to us the story of the titular protagonist (played by Kirti Kulhari), an orphan in Delhi who has spent her entire life trying to overcome a congenital stammer. Teenaged and surnameless, Indu wants nothing more than to be a good wife to some man some day. On the eve of the Emergency, she meets a Bengali named Navin Sarkar (Tota Roy Choudhury), a government official whose star is rising due to his known proximity to a prominent Congress politician. Indu and Navin marry, and she lives out an opinionless existence as his servile spouse until one day during the Emergency, she happens to venture into Turkman Gate area in Delhi, where the police are engaged in a street battle with residents opposing the bulldozing of their houses by the sarkar (government). Indu is fictional but the police firing on civilians during the Turkman Gate slum demolition is very much a part of recorded history. Our heroine’s life changes forever when she brings home two children whose parents go missing in the melee that day. There is rich irony in the fact that some Muslims believe Turkman Gate exemplified Indira’s son Sanjay Gandhi’s “anti-Muslim agenda” (read “Turkman Gate relives Emergency horror”, The Times of India, June 2015, and John Dayal and Ajoy Bose’s book For Reasons of State: Delhi Under the Emergency, excerpted on The Wire in June 2015). The irony comes from the fact that Congress has always positioned itself as a secular party, and is currently at loggerheads with the ruling BJP, which makes no bones about its majoritarian, anti-minority agenda. Bhandarkar — a committed admirer of the BJP — is clearly conscious of the parallels, which should explain why he completely excludes Sanjay’s wife Maneka Gandhi from Indu Sarkar. No doubt, portraying Maneka in the film would have been most inconvenient, considering that she was reportedly constantly by Sanjay’s side through the Emergency, yet she is a Union Minister in the present BJP government and her son Feroz Varun Gandhi is also a BJP member. If Bhandarkar had had the courage to reference Maneka in his film, he could have made a cutting statement on how, at least in the context of the Congress' attacks on minorities during the Emergency and the BJP's anti-minorityism since its inception in the 1980s, these parties are two sides of the same coin. The writer-director’s lack of academic objectivity is his film’s Achilles heel. Still, Indu Sarkar is interesting in certain ways. The leading lady, for one, is a telling metaphor for the voiceless who find their voice when faced with extreme injustice. The talented and underrated Kulhari, who was brilliant in last year’s Pink, lends relatable sensitivity to Indu. Neil Nitin Mukesh manages to extract something out of his role, even though Sanjay Gandhi is written here with no nuance and no graph whatsoever. Mukesh’s styling as Sanjay is remarkable. Seeing him on screen is almost like seeing the late politician’s doppelganger. With the benefit of a better-developed part, Tota Roy Choudhury is notable as Indu’s authoritarian husband, as is Satyajeet Sharma playing the Minister Om Nath. (Note: Choudhury's name is misspelt in the credits as "Totaroy Chaudhary"). These positives, however, are overshadowed by Indu Sarkar’s political iffiness and often shallow writing. For one, apart from Indu, Navin and Om Nath, the rest are all cardboard cutouts and hangers-on. In choosing to downplay the other Indu, namely Indira (and by that I mean not just her fleeting appearance in Indu Sarkar but also in what appears to be her limited role in the goings on), Bhandarkar unwittingly lays almost the entire blame for Emergency atrocities on Sanjay. The character played by Anupam Kher, leader of a group of non-violent, anti-Emergency activists, is clearly an allusion to Jayaprakash Narayan — in Indu Sarkar the great man is reduced to a one-line concept. In failing to rein in his biases, the director has missed an opportunity with Indu Sarkar. The Case of the Missing Maneka is one of many questionable choices he makes here. 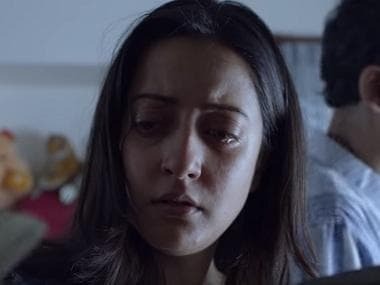 By casually setting the film’s first mass sterilisation scene in a largely Muslim area, he appears to be wordlessly pandering to the prevailing “Hum paanch, hamare pachchees (We five, our 25)” prejudice against the Muslim community in the country. Bhandarkar, who once made that lovely Chandni Bar (2001) with Tabu, has delivered a qualitative downslide post-Fashion in 2008. His Heroine (2012) was steeped in clichés, and 2015’s Calendar Girls was both crass and regressive. To be fair, Indu Sarkar’s writing (story and screenplay by Anil Pandey and Bhandarkar, dialogues by Sanjay Chhel) is more mature than those last two films. We are certainly spared his by-now-predictable template (such as satellite scenes in which household help and others from less advantaged economic classes discuss their bosses, a stereotypical gay supporting character, etc), which is a huge relief. However, better does not mean good. While Indu Sarkar’s narrative is more engaging than Bhandarkar’s recent works, it is still inadequate. 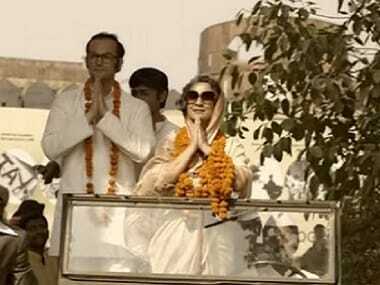 At one point, an important character in Indu Sarkar reminds a lawyer that she is anti-government, not anti-national, “deshdrohi nahin, sarkar virodhi.” It is a comment perfectly suited to the Emergency, while also mirroring present-day India where anyone who questions the ruling party, the prime minister or the government is labelled “anti-national” by their supporters, and where several commentators have spoken of the country being in a state of undeclared Emergency. Imagine how beautifully that statement could have been used to remind us that humanity repeats the mistakes of the past because we ignore our history. For that to happen though, Indu Sarkar required writing of greater depth and analysis, with less political selectiveness. As things stand, it is a matter-of-fact narration of certain events, with very little layering, elevated by good acting. We know the Emergency happened. Can you provide us with insights that go beyond mere facts? And if you cannot, what is the point?